I am excited to bring to you another new author to me. Her name is Diana Spechler. Her book Who by Fire is available now. Bikram yoga. Iced coffee. Writing. 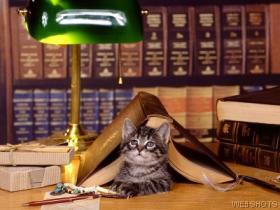 I read that also do manuscript consultations. Have you gotten any inspiration from reading other peoples manuscripts? I don't know about inspiration, but I have definitely become engrossed in other people's unpublished manuscripts. I like doing consultations. It's fun to talk with other writers about writing. Do you prefer peace and quiet when you are writing or do you listen to music? I don't play music. It's too distracting, especially if it's music with lyrics. I live in New York City and I love city sounds (traffic, people talking on the street below, sirens, etc. ), but I can't stand it when I can hear my neighbor's television or radio through the wall! I can hear it right now. It's making me nuts. Can you please describe Who by Fire? Who By Fire is a family story set in Israel during the Intifadah that explores what happens when we try to rescue the people we love. If you'd like, you can read all about it on my website: http://www.dianaspechler.com/ . Did you ever expect the buzz you have received from your book to be this big already? I'm thrilled with how things have gone. Before the book came out, I had nightmares about getting bad reviews, but the reviewers have been kind to me. Honestly, I didn't know what to expect. I'm very grateful. If Who by Fire was to be made into a movie, who would play the parts of Bits and Ash? Great question! I have no idea! If I got to cast the movie, maybe I'd hook up a couple of my struggling actor friends. Where were you when you first heard the wonderful news that your book was going to be published? At the gym. My agent had emailed me early that morning to tell me that she thought we were going to get an offer that day. I was so anxious, I couldn't imagine doing anything except maybe going to a bar to get as drunk as possible (which I couldn't do because I had to work that evening), so I went to a kick-boxing class. I propped my cell phone up against the wall. It started ringing while I was fighting an imaginary villain. I ran outside and my agent read me the offer. I jumped up and down outside New York Sports Club, crying and screaming, "Oh. My. GOD!" What has been the greatest thing so far about the release of your book? I've gotten some fan mail from Ba'alei Tshuvas, guys like the protagonist (Ash) from Who By Fire, who became Orthodox Jews as adults. They say things like, "You nailed it! You get me!" I can't imagine anything more gratifying. Can you please share any words to live by. Me? Give advice? Okay. Figure out what the obstacle is that's standing in your way. If it's something you can remove without seriously harming another person, do whatever it takes to remove it. Also, be careful about judging people. Great interview, Cheryl and Diana! I love your questions, Cheryl, especially the one about when the author first heard that her book was going to be published. 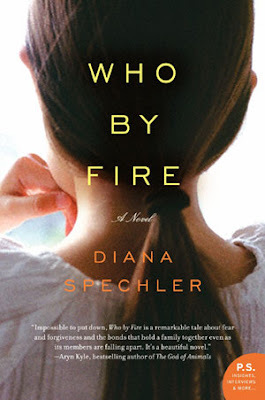 I loved Who By Fire and can't wait to see what Diana has in store for us next. Great interview! I have Diana's book on my nightstand. I sure hope to get to it soon. I've heard nothing but good things about it.